Checking your friends’ list to find out who unfriended you on Facebook may be a difficult task, knowing that this is almost impossible to detect without thorough sleuthing. Even if you kept a close eye on your friends’ friend-count for any decrease, you still can’t be sure if anyone has been unfriended. Rather than visit your friends’ profile page one by one to check, you can try the unfriend notification tool Unfriend Finder instead. 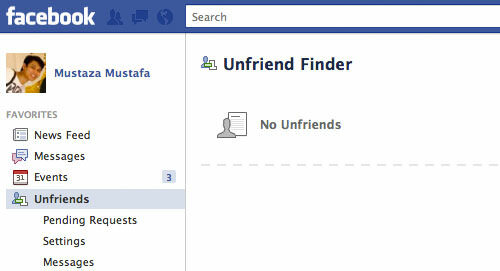 Unfriend Finder is a browser script for Facebook. Once installed, it will notify you when someone unfriends you on Facebook. The notification not only informs you of the unfriend action, but also tells you who did the unfriending. To install, head over to the Unfriend Finder official site, go to the download page and click on the download button to start installation. A pop-up will prompt for installation; click on the ‘Install’ button to proceed. Installation is automatic and will be complete in seconds. 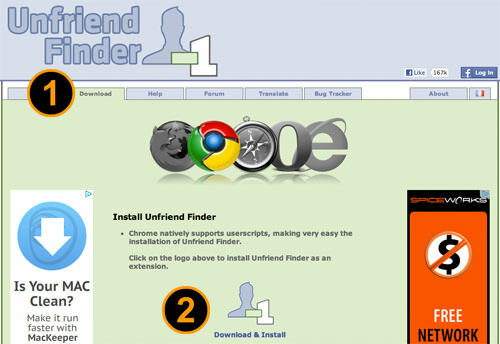 If you are using Firefox, you need to install the Greasemonkey add-on before you can start using Unfriend Finder. Top-right menu of your Facebook page, visible on all pages. Bottom icon button next to Facebook Chat, visible on all pages. Unfriend Finder will not have any previous unfriend record, however it will start detecting new unfriend actions as long as the script is active. Now whenever a person unfriends you on Facebook, you will be notified through the notification menu. Click on the notifications board to find out who has unfriend you. Besides the notifications, you can see the list from your Unfriend Finder page too. Facebook limits a number of options for various reasons and relationships being delicate issues that must be dealt with, either with finesse or with stealth, Unfriend Finder at the very least takes out the guesswork from the equation. While we wait for the option to ‘dislike’ a status or updates on Facebook, let’s make do with this app to keep track of which friends are still in our lives and which aren’t.